Princess Diana born as Diana Spencer in Sandringham, Unites Kingdom soon became the Princess of Wales after marrying Prince Charles in 1981. Like all women, Princess Diana had many roles as a mother, an activist, an inspiration to millions of people and a fashion icon. What set the Princess distinguished amongst others was her active involvement as a humanitarian. British royalty was in her blood, she was a direct descendant of King Charles II , however she was more to the title in her name. Always a helpful and caring soul, she started her work as a teacher at a kindergarten school when she was nineteen. She was a shy girl who gracefully transformed to a confident and equanimous woman with her charitable work and extending into the Royal family. Her curiosity towards learning and experiencing new things never stopped her whatsoever the situation. Princess Diana took up classes to learn the sign language for deaf people to connect at a better level during her visits to the deaf schools, which influenced many people to follow the same. Princess Diana with her royal status did not limit herself with the luxury, she wanted to spread love and provide a helping hand to the people in need. She used the power and passion to bring change amongst the disadvantaged masses. 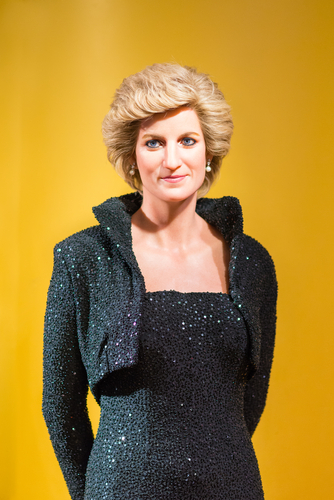 Back in the late eighties, when serious illnesses such as AIDS and leprosy were looked down upon, Princess Diana broke all stigmas and misconceptions that came with HIV when she hugged a seven year old boy infected with the deadly virus. This created whirlpools of attraction from all over the world. Her bold move changed the outlook in the eyes of millions. An iconic figure who appreciated her work was Nelson Mandela, who launched a joint venture in the year 2002 along with the Diana Princess of Wales Memorial Fund for children affected with AIDS in Africa. Princess Diana continued to work her way towards making a difference. She was involved in various causes such as poverty, drug abuse, animal protection and treatment of war veterans. A major cause she fought was for the ban of landmines. She had visited the injured victims of landmines in many countries and proposed a treaty to ban mines worldwide. During her visit in India in 1992, she met with Mother Teresa, a global icon who had dedicated her entire life to helping others. They both shared a mutual interest in the same motive which created a strong bond. Princess Diana was surrounded by the paparazzi constantly trying to get hold of every minuscule detail of her life, but she always believed in being her real self and handled the press with elegance. Even as she adorned the glamorous lifestyle, she never forgot the true essence of human life and strived to make a change every time she saw an opportunity that demanded assistance and aid. Her moral compass was so pure and righteous, the power to influence and attract came naturally. She never had to try. The “Peoples Princess” was a name given to Princess Diana by Tony Blair (British Prime Minister) after her tragic death in a car accident in Paris on August 31,1997. The sudden death came as a shock to the world. Thousands of people paid tribute to the people’s princess. Lady Diana will remain in our hearts as a symbol of love leaving her teachings of humanitarianism with us, for eternity.